Niseko’s recent international stardom in the ski and snowboard world has pushed development of the area to a maximum. This includes hotels, new ski lifts, restaurants, ski schools, and even ski shops. Rental and retail shops are a must for any ski town, and Niseko now has several that can provide you with gear. However, how do you choose which shop is right for you? Niseko Sports has many advantages that cannot be duplicated, and here are our top 5 reasons to select Niseko Sports as your ski shop. Location, location, location. You’ve heard it before, but that’s because it’s so important. Niseko Sports boasts the most convenient shop locations in Niseko. With 3 shops around Hanazono and Hirafu, Niseko Sports is never too far away. The Hanazono 308 location is the only shop on the Hanazono side of the Niseko United ski resorts. What do you do if you are having equipment issues in Hanazono, but the shop you rented from is in Hirafu? Renting from Niseko Sports allows you to have a shop near you no matter where you are on the mountain. There is also a Niseko Sports shop in the bottom of the Vale Hotel. Located right next to the family chair lift, this shop is only a few steps away from the snow, making it convenient to get on the slopes or to return your gear. The largest shop is located on Hirafu Zaka street, right next to the main intersection in Hirafu. This Niseko Sports shop carries the most gear, both rental and retail, and is open from 8:30AM to 8:30PM while night skiing is operating. You can pick up and return your gear at any of the shops, whatever is easiest for you. These 3 shops combined offer the best accessibility of any other option in Niseko. Niseko Sports prides itself in exceptional service. Each shop strives to create the best experience for their guests, and they do this by offering services that cannot be matched. The Hirafu Zaka store offers free pick-ups and drop-offs around the Hirafu area. This means they can pick you up at your accommodation, bring you to the shop, fit you to your ski gear, and drop you and your equipment back at your accommodation. Moreover, guests can pick up their gear early after 3pm on the day prior to your rental start date, for no extra cost. 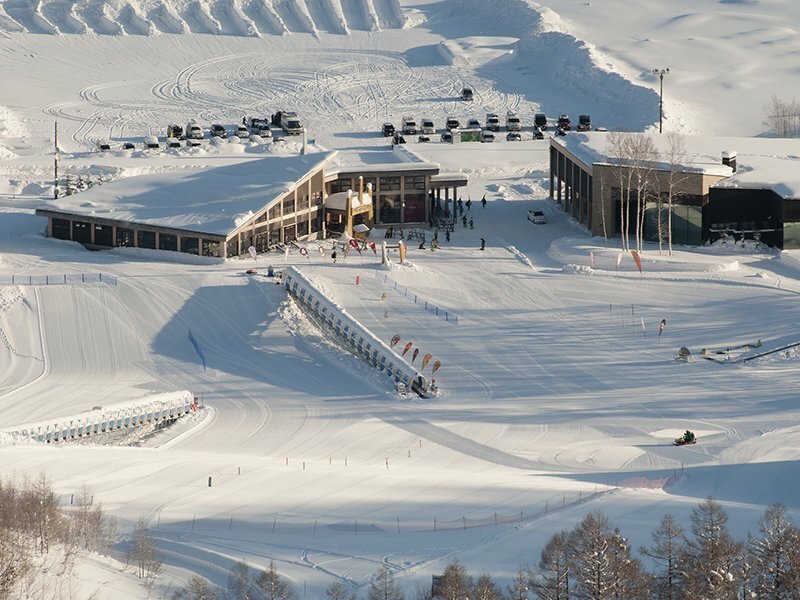 Niseko Sports also offers guests the ability to switch premium range or kids range skis and boards out as much as you like. The conditions on the mountain can change quickly, and it is important to have the equipment that matches the weather. Niseko Sports allows guests to store their skis, poles, and snowboards overnight at the shop for convenience as well. Unlimited free hot waxes are offered for any gear rented at Niseko Sports. Working at Niseko Sports is a sought-after position and thus attracts all sorts of applicants. Niseko Sports has the luxury of picking the best staff possible, and always has a large crew of returning employees that come back every winter. These factors produce a tight knit group that hail from all around the world. This international crew speaks many languages. However, what really separates Niseko Sports’ staff is passion. The employees all come to Niseko because of their love of skiing or snowboarding. This love brings vast knowledge of the products in the shop. 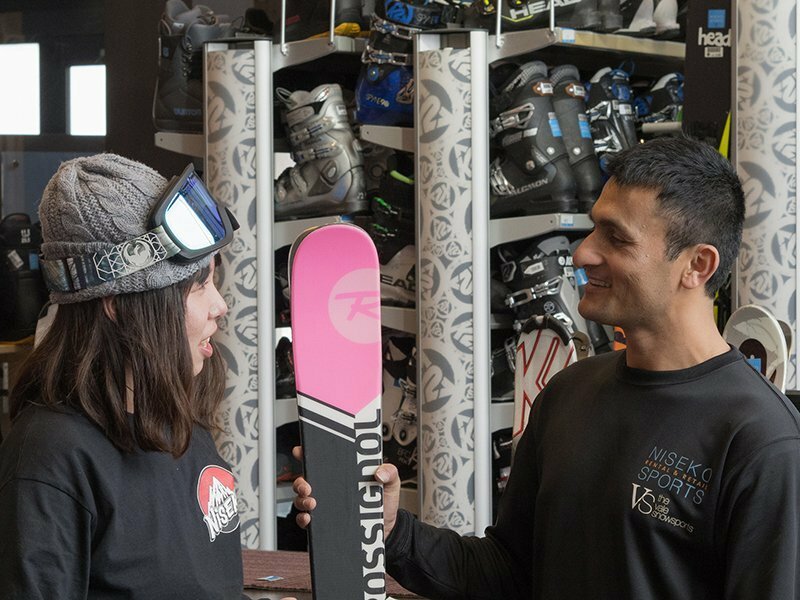 The rental shop technicians are all trained to adjust your gear safely and to perfection based on your skills and the current conditions on the mountain. You can trust Niseko Sports’ knowledgeable staff to make your experience on the mountain as fun as possible. If you are familiar with snow sports, then you know how important it is to have the best gear. 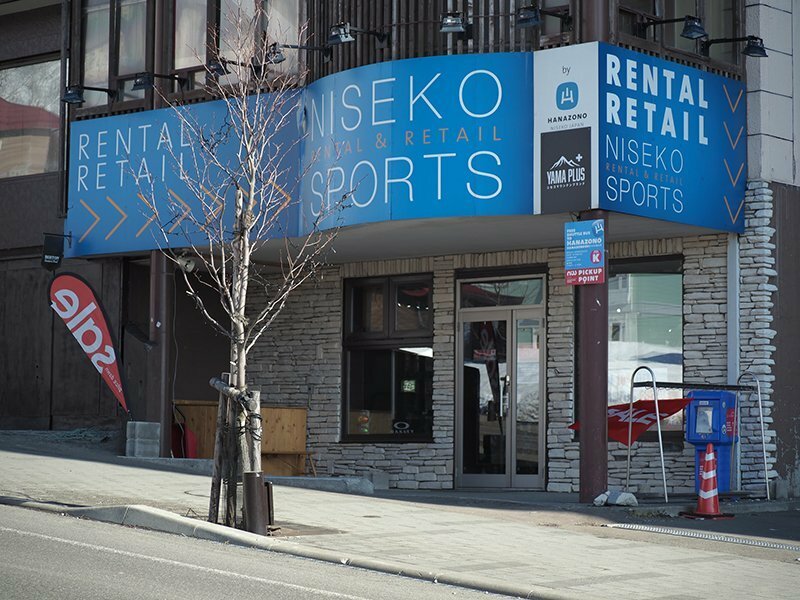 Niseko Sports is an authorized dealer of all the brands they carry, and what they do stock is the best of the best! Rental equipment brands include K2, Rossignol, Faction, Roxy, Head, Line, Burton, Ride, TJ and more. The skis and boards are made for Niseko’s conditions, which means there are a plethora of shapes made for powder! TJ Brand snowboards are designed in Japan and made for riding deep Japanese powder, and Niseko Sports is excited to collaborate them starting winter 2018. Niseko Sports also carries a huge stock of powder and all-mountain skis to match the conditions. 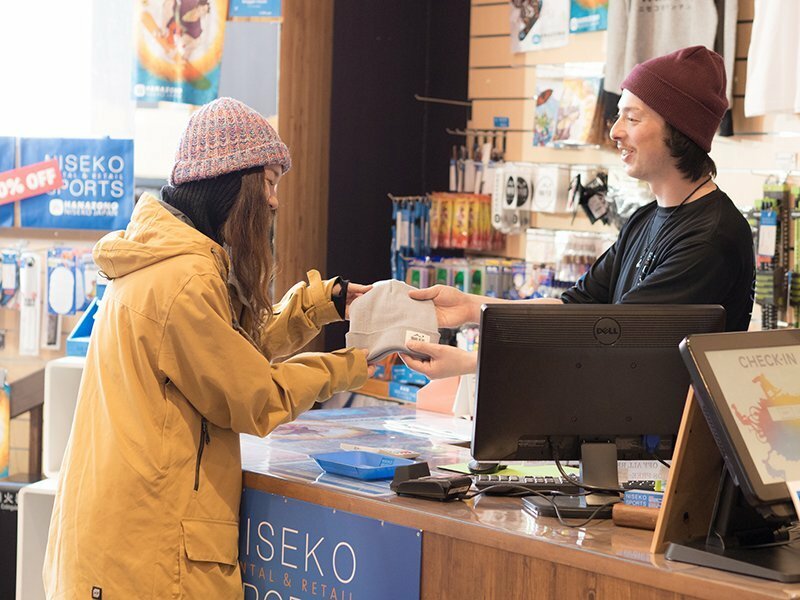 Niseko Sport’s retail brands are top of the line as well, so you can be sure anything you buy from the shop is of the highest quality available. A full list of brands and more information can be found on the Niseko Sports webpages. 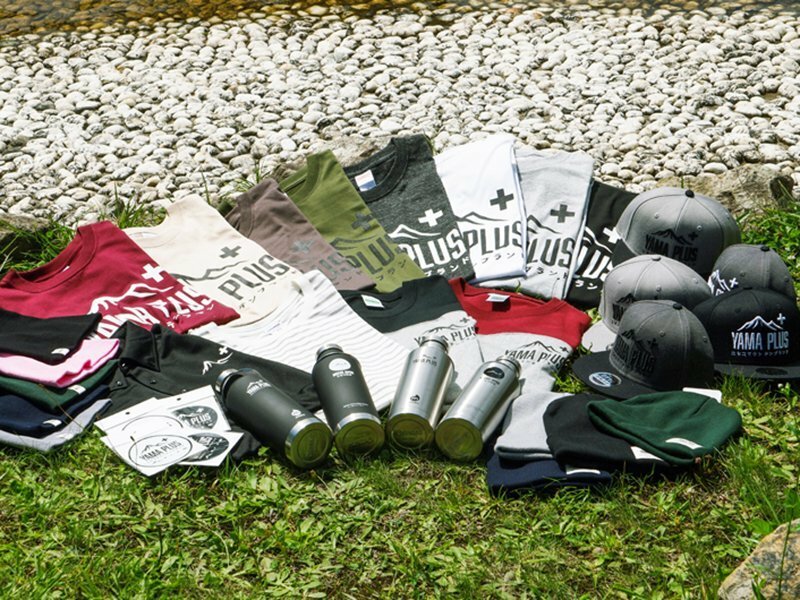 A new apparel brand created by Niseko Sports in 2016, YAMA PLUS has exploded in popularity in its first few years of existence. The idea of YAMA PLUS is simple. “YAMA” means mountain in Japanese. It is a brand made for all those who enjoy the mountain lifestyle. While one person may love riding the famous powder of Niseko, for others the mountains represent a place to play golf, river raft, hike, mountain bike, skateboard, etc. The “PLUS” represents anything that the mountain lifestyle brings to you. “YAMA + Riding Powder”. The new brand also sponsors and supports a crew of avid skiers, snowboarders, and photographers producing some awesome content. Connect with YAMA PLUS on Facebook and Instagram. YAMA PLUS is a true local Niseko brand, and is only available in Niseko Sports shops. Visit their website to see all the new gear! Niseko Sports is the premier ski shop in Niseko for many reasons, and those were our top 5. No matter your ability level or style, Niseko Sports has the gear you need to have the best time possible in Niseko. The services provided by Niseko Sports cannot be matched, and the locations of the shops are the most convenient in the whole Niseko area. With exclusive brands such as YAMA PLUS as well the foremost brands in skiing and snowboarding, Niseko Sports only carries the best of the best. Let Niseko Sports’ knowledgeable staff help you find what you need to enjoy the famous mountains of Niseko!